BEIJING (Reuters) : Alibaba Group Holding Ltd’s billionaire co-founder Jack Ma will announce a succession plan on Monday to hand the reins of his sprawling empire to a new generation of leaders but will remain executive chairman for the time being. Ma will announce the plan on his 54th birthday and the handover strategy will stretch over a significant period of time, the South China Morning Post (SCMP) newspaper reported citing a company spokesman. Alibaba declined to comment but pointed towards the SCMP story when asked about Ma’s plans. 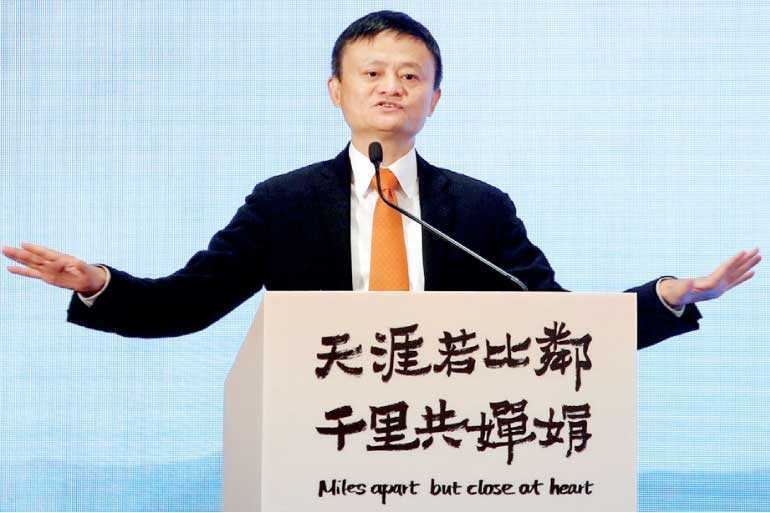 Ma, who co-founded Alibaba in 1999, stepped down as chief executive in 2013. He currently serves as the company’s international face at top political and business events. The New York Times reported on Friday that Ma would retire from the e-commerce company on Monday as the former English teacher seeks to focus on philanthropy in education. China’s third richest person with a net worth of $36.6 billion according to Forbes magazine, Ma was quoted by the New York Times as saying his retirement was not the end of an era, but the beginning of one. While Ma’s plan to gradually step back is a milestone, analysts and industry professionals said it was unlikely his involvement would change significantly. Ma oversees a number of charitable projects in education and environmental fields. He is a cult figure in China’s internet industry and has attracted a big following among entrepreneurs and in pop culture. At events, he is often met with screaming fans. Ma maintains a prominent international profile, frequently inviting global leaders to the company’s Hangzhou headquarters. Last year, he met U.S. President Donald Trump, who described him as “smart” and “open minded”. Alibaba was founded by 18 people led by Ma. China’s biggest e-commerce firm, it now has more than 66,000 full-time employees, the company’s latest annual filing showed. The company had a market value of about $420 billion as of Friday. Ma also controls Ant Financial, which was valued at about $150 billion after a recent fundraising round.